The Center offers services for currently enrolled UCI undergraduate students only. Graduate students may contact the Graduate Resource Center to set up a writing tutorial; the GRC can be reached at grc@uci.edu or 949-824-3849. Walk-in consultation availability is limited, and will be fit in if there is sufficient time (~30 min.) after existing commitments to appointments, online consultations, grant projects, teaching, and Scholarship Opportunities work. 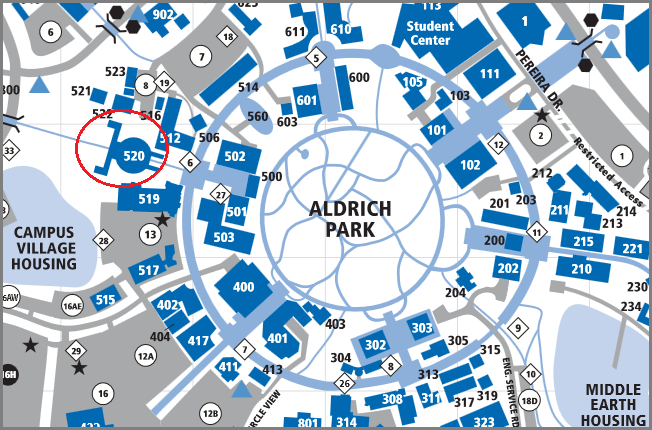 We’re located on the ground level at Science Library (building 520 on the campus map), the first door to your left as you enter the library’s courtyard area from Ring Road.